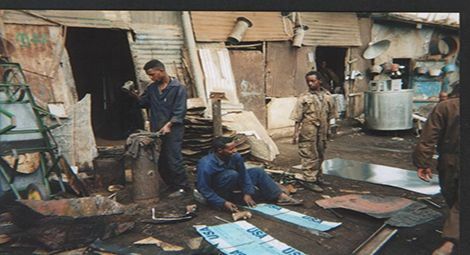 Infringements on the right to education of children from two of Eritrea’s permitted religious groups caused a rare show of public resistance against the Eritrean government, which has been deemed by a United Nations (UN) Commission of Inquiry to have been committing crimes against humanity since 1991. On 20 October, Hajji Musa Mohammed Nur, a nonagenarian and the respected Honorary President of Al Diaa Islamic School in Asmara, was arrested, along with several others who were taken into custody in diverse parts of the city. All had expressed opposition to the government’s decision to expropriate the Al Diaa Islamic School in line with a plan devised by the Ministry of Education in 2014 that will transfer control of every school to local communities. Al Diaa was established in the late 1960s, and is run by parent committees as a private Islamic school. Transferring schools to the control of local communities would mean that religious schools such as Al Diaa would become nondenominational and be open to the public. Prior to his arrest, thousands of people had gathered in the school compound on 15 October to be briefed by Hajji Musa and other board members on the issue and to express their rejection of the proposed expropriation. According to Gedab news, a few weeks earlier the security forces had also detained a dozen people at a funeral in Adi Guaedad on the outskirts of Asmara, as they returned from the burial. According to the Asmara-based activist network Arbi Harnet, the school has been “quietly” reopened and a few students and women have been released. However, some reportedly suffered mistreatment while in detention. The Catholic Church has been targeted in a similar manner. According to a report on the Eritrean website Asmarino.com, on 18 September, the Education Minister for the Central Region (Zoba Ma’ekel) wrote to the Director of the Medhane Alem Secondary School in Asmara demanding the closure of the school and a list of all of its students. The letter, which was copied to the Minister of Education, the office of the Eritrean Police and the Chief of Police of Zoba Ma’ekel, cited Proclamation 73 of 1995, which defines and regulates the activities of religious groups. Amongst other things, the proclamation states that the provision of social amenities rests within the remit of the government, while religious organisations should confine themselves to attending to the spiritual wellbeing of adherents. Following an unfruitful appeal to officials, church leaders decided not to close the school. The government’s response was to detain Abba Haile Paulos, a diocesan priest who volunteered to take the place of the school’s director, and Sr. Tinsae, a Comboni nun. 1. In May 2002, the Eritrean government closed down and effectively outlawed all religious practices not affiliated with the Catholic, Evangelical Lutheran or Orthodox Christian denominations and Sunni Islam. 2. Hajji Musa is the brother of Taha Mohamed Nur, who was a co-founder of the Eritrean Liberation Front (ELF) and was a leading figure in the war for independence. Taha Mohammed Nur was arrested without charge and died in detention two years later on or around 14 February 2008. On 16 February 2008, his family was told to collect his body, but received no explanation regarding the cause of his arrest or death.